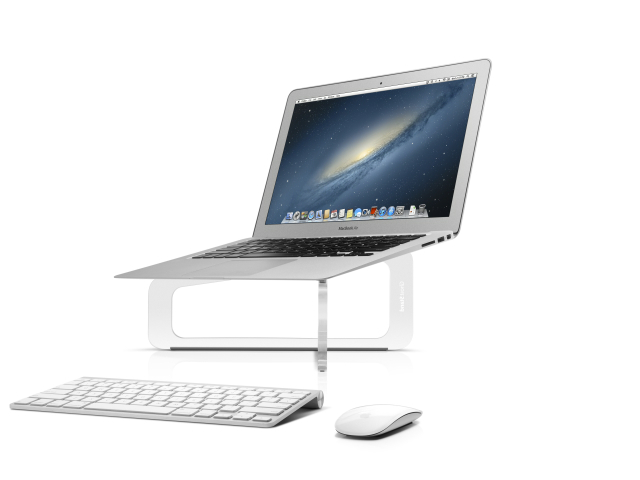 Twelve South has unveiled GhostStand, a new transparent stand that elevates any MacBook to a more comfortable viewing height. 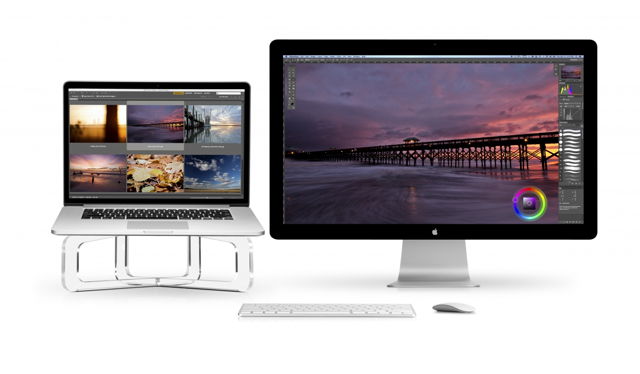 GhostStand is a clear, lucite platform that lifts the MacBook display six inches off your desktop. 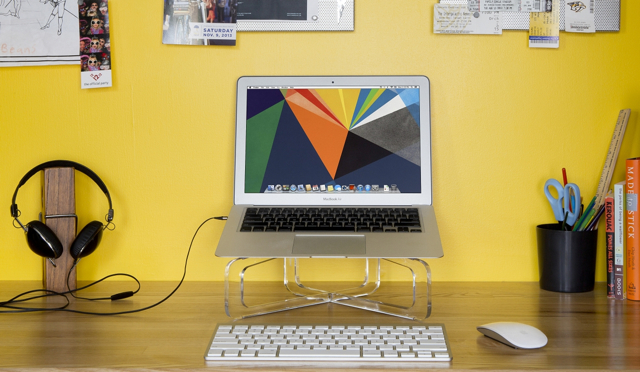 Pair this nearly invisible stand with a wireless keyboard and mouse to enjoy the comfort of a desktop from your portable MacBook. The refreshingly simple GhostStand is also great for those who like working with a dual screen setup to double their screen real estate. When you’re ready to pack up your MacBook and go, simply unplug your cables and leave an ethereal sculpture behind. The GhostStand features double-inlaid, brushed metal rails lined with soft silicone to grip the bottom of your MacBook and protect your work surface. Along with elevating your MacBook to a more ergonomic viewing height, the stand improves air circulation around your notebook. GhostStand is compatible with all MacBook models and is available now at this link and soon at the Apple Store for $34.99 / £29.99 / 34,99 €.